Dolphy Lives: Review of Empirical's "Out 'n' In"
Eric Dolphy was a groundbreaking musician who tragically died in 1964 of a misdiagnosed diabetic episode, while on tour in Europe. Dolphy was only with us for a relatively short time ( he died at age 36), but left a lasting legacy with his influential work on seminal albums like Live at the Village Vanguard with the John Coltrane Quintet; Free Jazz with Ornette Coleman and The Blues and the Abstract Truth with Oliver Nelson not to mention his own Outward Bound and Out to Lunch . Empirical is a London based jazz group of Dolphy inspired young musicians, including Nathaniel Facey, Lewis Wright, Tom Farmer, Shaney Forbes and on this album special guest Julian Siegal. Combining an assiduous attention to the Dolphy aesthetic with the masterful execution of their ensemble play, Empirical renews appreciation for Dolphy’s music. 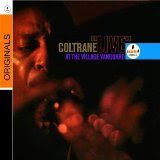 Composing six new songs and a few interludes for this effort they not only carry on his tradition they prove that his influence continues to provide new avenues of worthy musical explorations. Despite being known as a free jazz advocate, Dolphy’s music was more structured than most free jazz. Ever the raconteur, Dolphy used his mastery of the conversational sounds he vividly created from the alto, flute and most unusually in jazz the bass clarinet to tell his stories. On the opening composition “Out But In”, written by bassist Tom Farmer, a loose alto and vibes opening line by Facey and Lewis set the tune in motion. The quick paced dialogue quickly morphs from alto and vibes soon moving to vibes and bass and onto bass and drums, with some room left for individual expression along the way. It is this conversational approach to ensemble playing that earmarks Dolphy’s approach to music. On Dolphy’s “Hat and Beard”, a dedication to Theolonius Monk, the bass clarinet of Julian Siegel adds another tonal color to this whimsical image- inspiring music. The tubular sounding vibes of Lewis creates a nice contrast with Siegal’s woody low register sound. The marching fairytale-like entrance mimics a casual procession leading the listener through a magical forest. Eventually the music takes you to a clearing in the woods where Siegal, Facey and later Lewis all have a chance to express themselves in raucous conversation that includes sighs, bellows and screeches in what could be easily be seen as a scene stolen from the Mad Hatter’s Tea Party. “A Conversation” and “Another Conversation” are simply that, playful jousts of notes and ideas between Facey’s alto and Siegal’s tenor. “So He Left” a Facey composition, features Farmer’s bass. 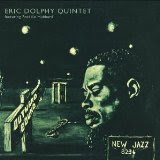 Inspired by Dolphy’s time with bassist Charles Mingus, it is mildly reminiscent of some of the Mingus big band work. Facey’s alto is strong, biting and conversational. On the pensive “Bitter End To A Gentle Giant” Siegal and Facey combine to create a melancholic, lumbering introduction. The beautifully played two horn parts are so well matched that they combine to create a natural resonance that is enhanced by Lewis’s gentle touch on the vibes. This song is a dedication memorializing Dolphy’s untimely passing and as such is a masterfully sensitive musical benediction to their fallen hero. “Dolphyus Morphyus” is a fine homage to Dolphy’s use of harmonic symmetry. A jagged intro includes some microtonal work by Siegal on bass clarinet and an abstract alto solo by Facey. Lewis build’s a repetitive vibe line as Farmer and Forbes maintain the basis for Siegal, Forbes and Facey to each take turns interpreting the musical direction. They create a complex combination of harmonies that in some fractured way seem to work together creating an unusual piece of music. Siegal’s bass clarinet solo played over the changing rhythmic vibe just before the coda is a delight. “Gazzelloni”, the second Dolphy composition on the album, was originally recorded as a tribute to his renowned flute teacher Severino Gazzelloni on Out to Lunch and the boys play it faithfully. “Bowden Out”, another Farmer composition, is perhaps my favorite song on the album. Utilizing many of Dolphy’s techniques but making it all their own Empirical creates a new, evocative musical statement. With a repeating synchronous horn line to establish it’s eerie mood, Wright’s tubular sound lingers in the air hanging like gossamer covering slightly obscuring the scene. Facey languishes on his alto, rising poetically as Siegal’s relentlessly bellowing bass clarinet lays a haunting rhythm. Wright’s vibes and Forbes cymbals pulse the movement to a beautifully fading coda. It is satisfying to see that the rich musical legacy of Eric Dolphy lives on through the efforts of appreciative apostles like the talented musicians of the group Empirical. Recording place and date unknown. Released 2009. 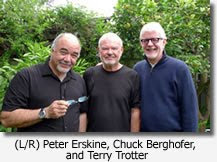 The Trio is made up of three veteran musicians, Terry Trotter on piano, Chuck Berghofer on upright bass and Peter Erskine on drums. I was unfamiliar with Trotter’s work but a little research was illuminating. A long time California resident, Trotter has played with Bobby Hutcherson, Charles Lloyd, Chet Baker and was a member of Art Pepper’s regular group at the famous Lighthouse in Hermosa Beach. 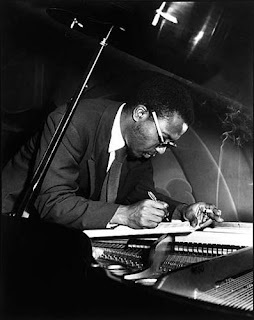 Classically trained, he was once recommended for a gig with Miles Davis, but ultimately chose the stability of studio work, where he played with the very best in that system for twenty years. It is likely that we have all heard Mr. Trotter’s work without ever realizing it. Trotter may well be the best-kept secret on the California music scene. His band mates in the Trio have equally impressive resumes. 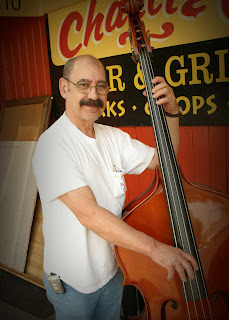 Bassist Chuck Berghofer was a long time member of the Pete Jolly Trio. He too was a much sought after studio musician.Berghofer has performed with countless singers including Frank Sinatra, Ella Fitzgerald, Joni Mitchell and Barbara Streisand. His slide bass line on Nancy Sinatra’s These Boots Are Made For Walkin' is an immediately identifiable example of this man’s memorable work. Drummer Peter Erskine is a seminal figure in the world of progressive jazz drumming. He was an integral member of the jazz-fusion band Weather Report when bassist Jaco Pastorius was also a member. He was the driving beat behind the super group Steps Ahead, which featured Michael Brecker, Mike Maneri and Don Grolnick among others. He continues to push the envelope with his more recent collaborations with guitarist John Abercrombie, bassist Marc Johnson and saxophonist Bob Mintzer. 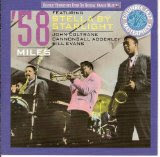 On “Put Your Little Foot Right Out”, a song famously played by Miles Davis on his album a "'58 Sessions, Featuring Stella By Starlight where he titled it Fran Dance , Trotter uses the easy swinging feel as an interesting vehicle of expression with his slightly dissonant take on the melody line. Berghofer contributes his own playful ideas on bass on top of Erskine’s barely perceptible brushwork. The only thing missing is the haunting sound of Miles’ muted trumpet. “Afternoon in Paris” is a medium tempo John Lewis composition that is played here in a way that is eerily similar to the way the Bill Evans famous trio might have played this song. Erskine has the opportunity to open up a bit on his kit on this one. 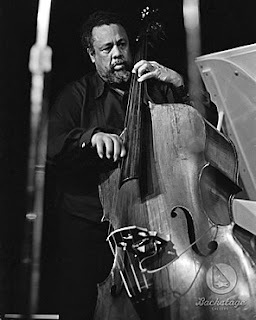 Trotter demonstrates some marvelously conceived two handed playing, finishing with an impressive lengthy arpeggio that keeps the audience at the edge of their chairs. Trotter’s exceptionally beautiful take on “Ghost of a Chance” is a treasure .The understated elegance of his playing, with it’s slow, contemplative approach, is complimented by the subtle interaction of his astute rhythm section. The group mesmerizes the audience finishing to appreciative howls and applause. On “How Deep Is The Ocean”, the buoyant bass of Berghofer keeps walking time in playful complicity with Erskine’s shimmering cymbal work, another example of top notch ensemble playing. Trotter prefers to play around the melody, charting a circuitous course that spans the entire keyboard. He uses ever so slightly dissonant chording to navigate the tune. Erskine’s subtle use of brushes embodies the essence of mature restraint until Trotter’s building intensity requires a more robust accompaniment. “Blood Count” is a ruminative Billy Strayhorn composition made famous by Stan Getz. Trotter unfolds the melody, delicately unwrapping it like a precious gift. The rhythm section allows Trotter’s graceful musings to stand on their own, with the barest of accompaniment: a carefully plucked note by Berghofer, a slowly rising rush of cymbal by Erskine. The audience’s presence is barely noticeable they are so engaged. Pure magic. While there is no substitution for being there, if you want the “live” experience that an exceptional piano trio can offer The Trio “live” @ Charlie O’s is the next best thing. Musicians: Chuck Berghofer (bass);Terry Trotter(piano); Peter Erskine (drums). 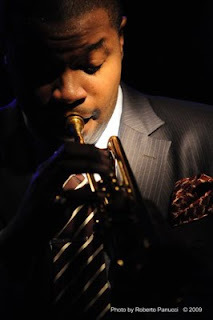 Trumpeter Jeremy Pelt possesses a round, lyrical sound that places him in the top tier of current players in the post bop tradition. On Men of Honor Pelt’s working band of J.D. Allen on sax, Danny Grissett on piano, Dwayne Burno on bass and Gerald Cleaver on drums have each contributed compositions that make up this tribute - an homage to both the jazz tradition and the working jazz band. Starting with bassist Dwayne Burno’s “Backroad”, the music features the front line of Pelt and Allen, hauntingly in the tradition of vintage Jazz Messengers. Allen’s deliberate tenor phrasing is refreshingly uncluttered. Following in stark contrast is Pelt’s animated, biting trumpet solo which is sprinkled with familiar phrasings and fluid arpeggios that sound convincingly inspired by early Freddie Hubbard. For his part pianist, Grissett moves up and down the keyboard with a gentle, fluid grace while Burno and Cleaver keep the pace on target throughout. “Milo Hayward” is a jagged Pelt original dedicated to his son. The start-stop pace of the tune allows a Shorteresque sounding Allen and a purposely jagged Pelt to play in an unfettered stream of consciousness.Grissett alters the pace of the song with a pretty melodic solo before Cleaver punctuates the piece with a choppy flurry on drums at the coda. J.D. Allen’s composition,“Brooklyn Bound”, finds Pelt at his most lyrical. Here Allen takes on a Dexter Gordon-like tone and phrasing which is quite compelling. Pelt squeezes out slurs of passion from the warm notes of his flugelhorn in a sensitive solo that echoes memories of the late Art Farmer. Drummer Cleaver’s compositional contribution is “From A Life of the Same Name”, a beautifully pensive piece where both Pelt and Allen play with purposeful sensitivity and thoughtful restraint. The melody has surprising turns that demand the listener’s attention and the entire group contribute to the song’s poignant quality. “Illusion” is an uplifting, easy swinging Pelt composition, where he chooses the distinctive sound of the Harmon mute for his trumpet. After a brief melodic piano solo by Grissett, Allen plays a deeply evocative saxophone solo using an economy of notes to make his point. Pelt’s brightly muted trumpet has a joyful, uplifting sound on this song that brings a smile to your face with its inspired lyricism. “Us/Them” features a nice front line duet with counterpoint soloing by drummer Cleaver. There is a call and response segment first between Pelt and Cleaver and then between Allen and the drummer. Blakey would be proud. The last tune on the album is a slow medium tempo composition by the pianist Danny Grissett titled “Without You”. Cleaver starts with a cymbal building entrance followed by a front line lead. Short lyrical solos by Pelt on flugelhorn again remind me of Hubbard at his most sensitive, Allen on tenor and a tingling piano solo by the composer Grissett finish this tight little gem. After consistently being acknowledged as an "up and coming" artist, Pelt has finally arrived as a maturing musician whose is a respectful guardian of the jazz tradition and a blossoming composer in his own right. With “Men of Honor” Pelt and his group prove how effective a regular working jazz band can be. 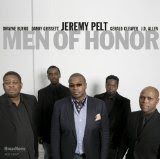 Musicians: Jeremy Pelt (trumpet & flugelhorn); J.D. Allen (tenor saxophone); Danny Grissett (piano); Dwayne Burno (bass); Gerald Cleaver (drums).